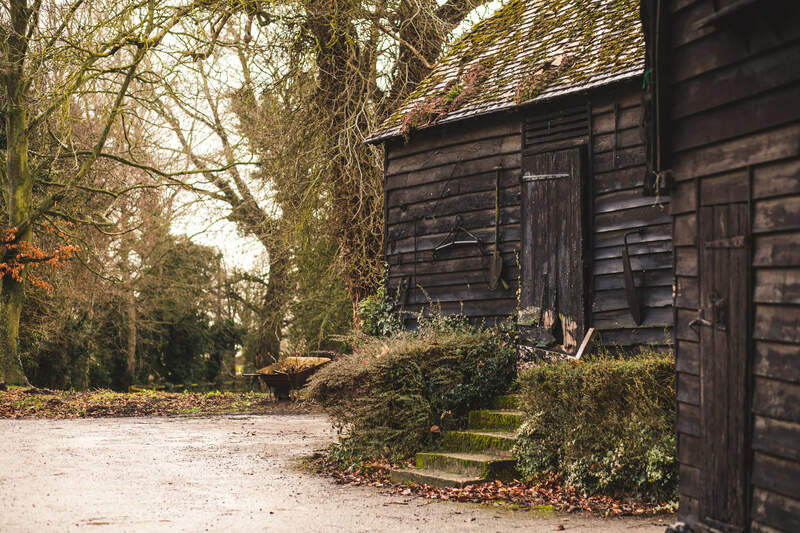 Step inside our spacious and light new techtile studio, nestled in the beautiful Bedfordshire countryside. 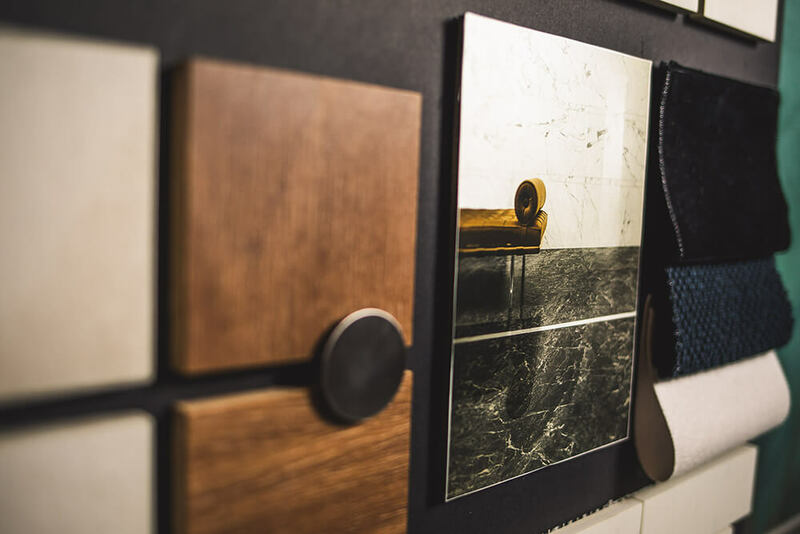 We have created a deliberately relaxing space for our customers to be able to leisurely look at, touch and experience our diverse range of tiles. 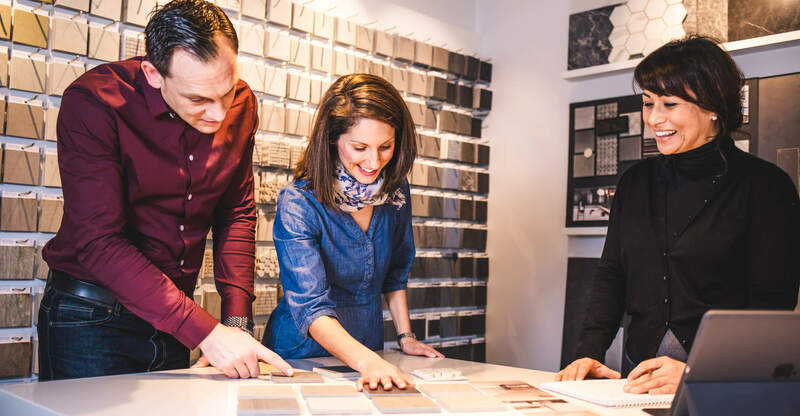 Our dedicated studio team is on hand to give advice and support, and to guide you carefully through the tile selection process, to help find the ideal tiles for your project. When the opportunity came up to renovate the former dairy barn located on Church Farm in Astwick, we jumped at it. The barn gives us the ability to showcase the huge variety of tiles in our range within an impressive space, in a perfect location. We also decided to use part of the barn as the techtile Head Office, so that our experienced team would be able to help customers select tiles and sort out any problems. It has the additional advantage of also being a stunning place to come to work each day. We worked closely with brilliant interior design expert, Astrid Barney to come up with the design for the showroom. The barn had to be able to showcase our vast range of products, and appeal to both our commercial and residential customers. It needed to be a peaceful and attractive place to work. The layout and textures had to be timeless, sleek and welcoming. We are delighted with the result. 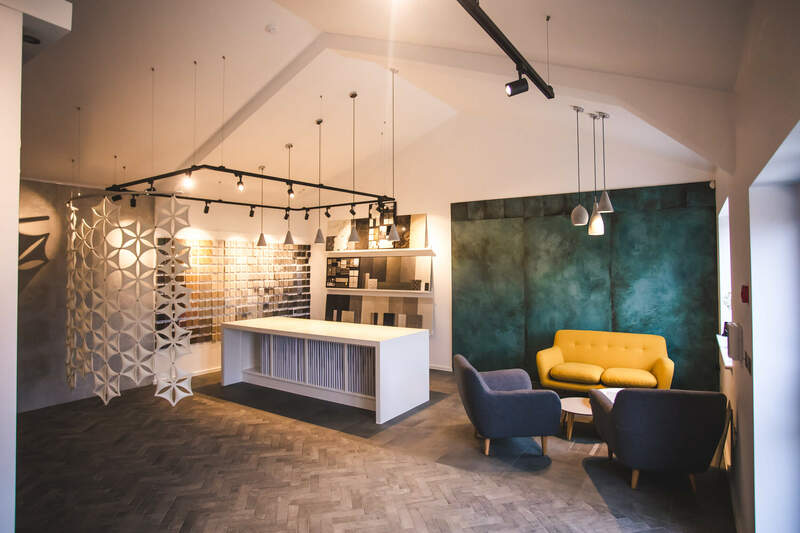 The layout encourages visitors to sit down and enjoy a coffee in comfort whilst working through the many colours, sizes and finishes in our tile ranges. The office space just next door is inspirational and peaceful and means we are close at hand to to guide you through all the tile possibilities to suit your vision, development or home.